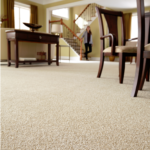 Carpet fibers play a significant role in the overall performance of your carpet. Understanding the various types available to you, how each clean, mat and crush, resist sunlight-fading and carpet stains, is pertinent to selecting the best fit for your lifestyle and physical environment. Nylon: The strongest and most durable of all synthetics, nylon is one of the more popular choices among homeowners. It is also created entirely by petrochemicals. 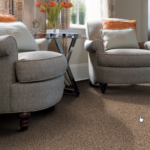 Some of today’s nylons tend to be among the softer and greener carpet fibers available to manufacturers, but don’t let that mislead you into thinking they’re any less durable. To the contrary, Nylon continues to maintain its high rankings in durability compared to most synthetics. 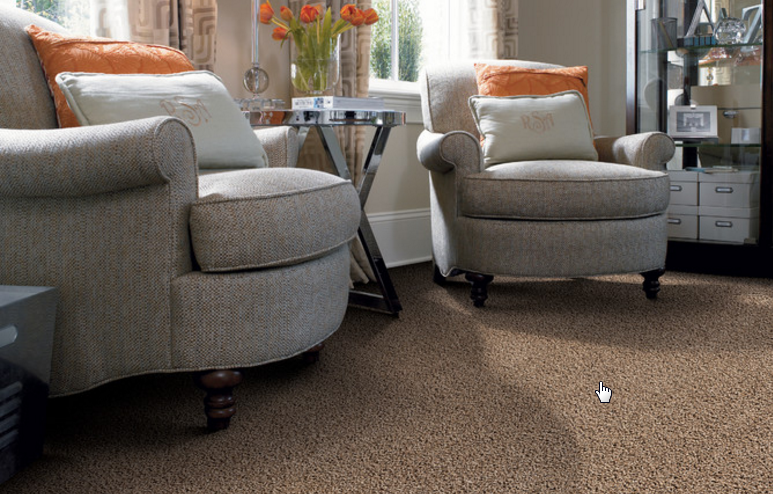 You will need to replace your Nylon carpet far less frequently than any other synthetic carpet. Nylon’s high resiliency properties (its ability to withstand matting and crushing), its yarn memory (which holds twists), its stain resistance and soil hiding abilities, and its mildew and abrasion resistance shedding abilities all give this fiber an edge over other synthetics. Polyester: Polyester’s popularity as a carpet fiber is a close second to Nylon. Both fibers hold strong stain resistance properties, are considered highly durable, and are considered practical options for many home owners. Polyester is soft under foot and is frequently used in bedrooms, living rooms, etc. It is most known for its bright array of vivid colors and its ability to retain them. Polyester’s ‘fade-resistance’ properties rival those of Nylon, making it an excellent choice for rooms that have a lot of sunlight. Like Nylon, Polyester fibers are also equipped to shed moisture and mildew…but at a much lower cost (than either nylon or wool). Many people are still under the false perception that Polyester is more susceptible to crushing than Nylon. In its earlier days, this was certainly true. Today, however, largely as a result of advanced technology and sophisticated manufacturing techniques, Polyester is most resilient under heavy traffic, and its construction far sturdier overall. That being said, when selecting a Polyester carpet, you’ll want to avoid those with high piles and low-density construction as they are more prone to ‘flattening out.’ Another hint when evaluating Polyester, do not rely on the ‘finger test’ to gauge the quality of your carpet. Generally speaking, the more difficult it is for you to thread your fingers through a carpet, the higher its quality. Polypropylene: Commonly known as Olefin, this synthetic fiber is less expensive than Nylon but maintains some of the same, outstanding stain resisting properties (except for oil-based stains) as its synthetic sister. Olefin’s ability to resist moisture makes it an excellent choice for outdoor spaces and basements both of which are subject to wet and damp conditions. You’ll rarely see mildew or mold buildup on an Olefin carpet. Other positive features include its ability to resist harsh chemicals and detergents, as well as the damaging effects of sunlight (i.e. fading.) Still, Olefin does present some drawbacks for home owners, beginning with its low resiliency ranking. 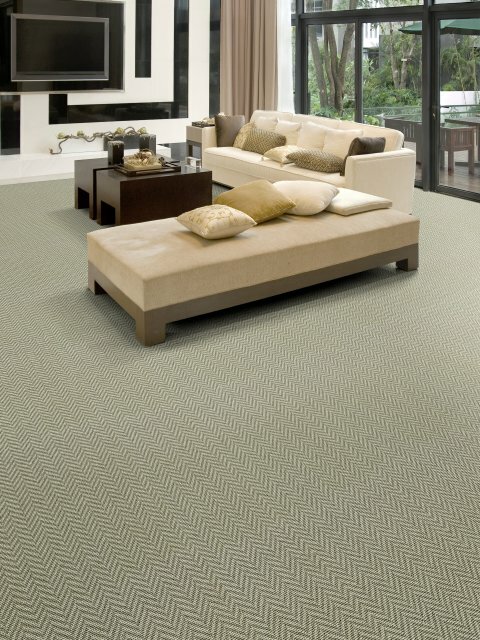 Olefin carpets are far more prone to matting and crushing than Nylon carpets, especially if their piles are cut high. Of even greater concern, perhaps, Olefin does not stand up well to abrasion and has a low ‘melting point.’ The friction that is created by sliding heavy furniture across an Olefin carpet, if not careful, can cause its fibers to melt. Acrylic: A slightly more expensive alternative to nylon, this fiber closely resembles the look and feel of wool. In fact, many carpets in the 60s and 70s used acrylic because of this similarity to wool. Like wool, it has superb soil, static, moth and mildew resistance properties. 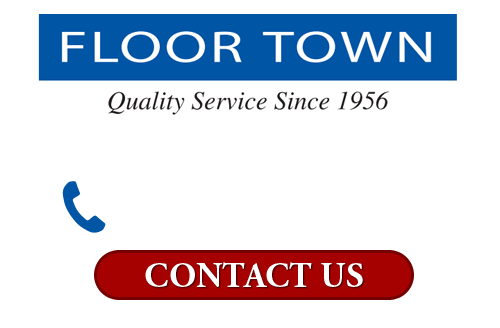 Nonetheless, it is rarely used in today’s carpets because of its inferior wear resistance ,and its heightened tendency to pill and fuzz. 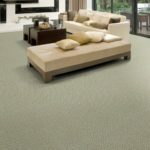 Occasionally, it is blended with other stronger and more durable fibers in Berber and level-loop styles. Triexta: This fiber is the latest addition to the synthetic category, and has a similar chemical structure as Polyester. Due to its unique attributes, The Federal Trade Commission created an entire subclass around Triexa, known for its softness, durability and resiliency compared to Polyester. Most notable about Triexta are its built-in, stain resistance capabilities which cannot be washed away with steam cleaning. Dupont’s Triexta fiber is made up of 37% corn sugar, one of the greenest synthetic fibers available, reducing greenhouse gas emissions by 63% compared to traditional Nylon made from petroleum. Wool: Still considered the ‘cream of the crop’ among carpet textiles, this natural fiber is often out of reach of most customers’ pocket books. No wonder! 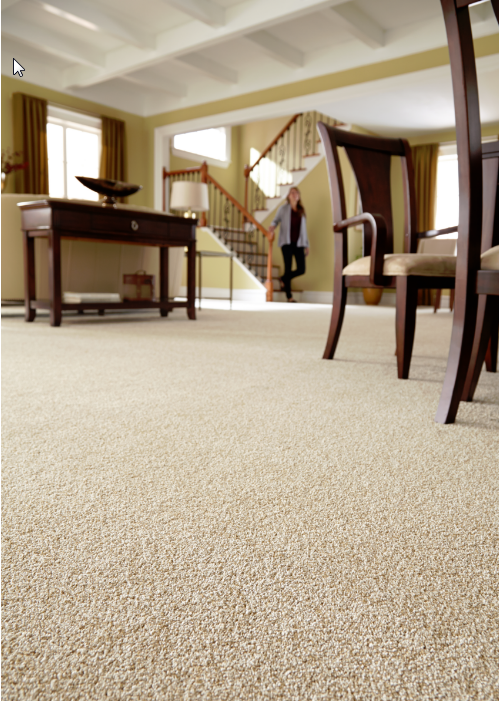 It still maintains higher durability and resilience properties than any other carpet fiber. That said wool requires more maintenance than other fibers as well – including mothproofing. (Be sure to familiarize yourself with your wool carpet’s cleaning instructions prior to installation.) The other caveat to owning a wool carpet is that its pile tends to wear away – especially in high traffic areas – and it does hold water, making it susceptible to mold or mildew. Cotton: Cotton is most commonly found in area rugs as its fibers are less resilient than other synthetics, and doesn’t hold up as well to excessive, repeat traffic. It also offers beautiful colorations, making it a natural choice when weaving separate area rugs, but is difficult to keep clean as it does not especially stain resistant and can turn a slight brown when cleaned with alkaline solutions. Cotton area rugs last longer when placed in low traffic, low sun-lit areas.